A Direct Deposit Form needs to be obtained from Human Resources or Payroll. Use this form to start, change or stop deferral contributions. FMLA is a federal requirement that we must offer to any employee (or employee’s family) who has a serious health condition who have one year employment & worked 1250 hours. Human Resources determines if an employee qualifies or not for FMLA. That is determined by the medical certification and HR review. Any employee who requests extended time off for their own serious health condition (including surgery) or family health issues, needs to submit FMLA paperwork to HR. Note that extended time off, under FMLA regs is normally 3 days absence or more which requires an employee to complete the necessary paperwork and medical certification. Approval of FMLA leave is not determined by accrued leave time available. It is approved based upon the medical certification and HR’s deeming it as a qualifying event. Any employee on FMLA should NOT return to work without first contacting our Bonner County Human Resources Department and providing a Return to Work Form – Fitness for Duty , at least one week prior to your return, that has to be filled out by the physician. A doctors note (from a RX pad), is not fitness for duty sufficient. Once your return to work status and any physician ordered restrictions, have been identified according to the Return to Work Form – Fitness for Duty, then your Department Supervisor will advise you of your official date, you are able to return to work. Reasonable Accommodation Request Form Should be filled out to request accommodation. Reasonable Accommodation Request Form Please return this form to Human Resources. Protocol for Bonner County Employee Work Injury If you are an employee with Bonner County and you are injured during work, please refer to the Work Injury Protocol . 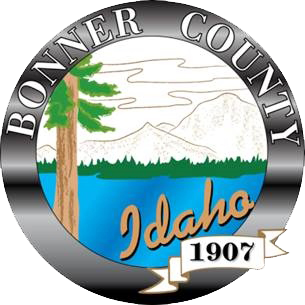 An Initial Incident Report-Word or Initial Incident Report-PDF should be filled in and submitted to the Human Resources/Risk Management Department for any Bonner County Employee that has been injured, while actively on the job. Again, once your Workers Compensation Claim period is over, you will be required to submit a Return to Work Form – Fitness for Duty , filled out by the physician and submitted to the Bonner County Human Resources Department, at least one week prior to your return, then your Department Supervisor will advise you of your official date, you are able to return to work.